Harleigh was recently sent a lovely package from Hipp Organics. They have just released some new savoury jars and we couldn't wait to try them out. 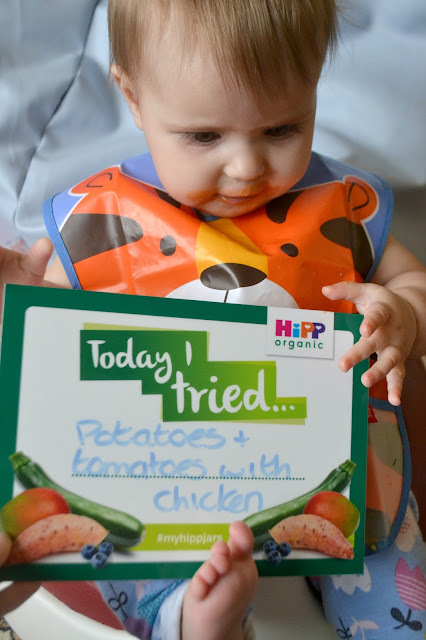 There are a mixture of flavours for stage two and stage three weaning. These are 7 and 10 months plus. There are some great features of the new jars. · They have a wider opening to make feeding easier. The jar itself is also 100% recyclable. · For more information on the new recipes and products from HiPP Organic and for the best weaning advice, head to HiPP UK. So what did Harleigh think. I first started her off with the stage 2 jars which are from 7 months. 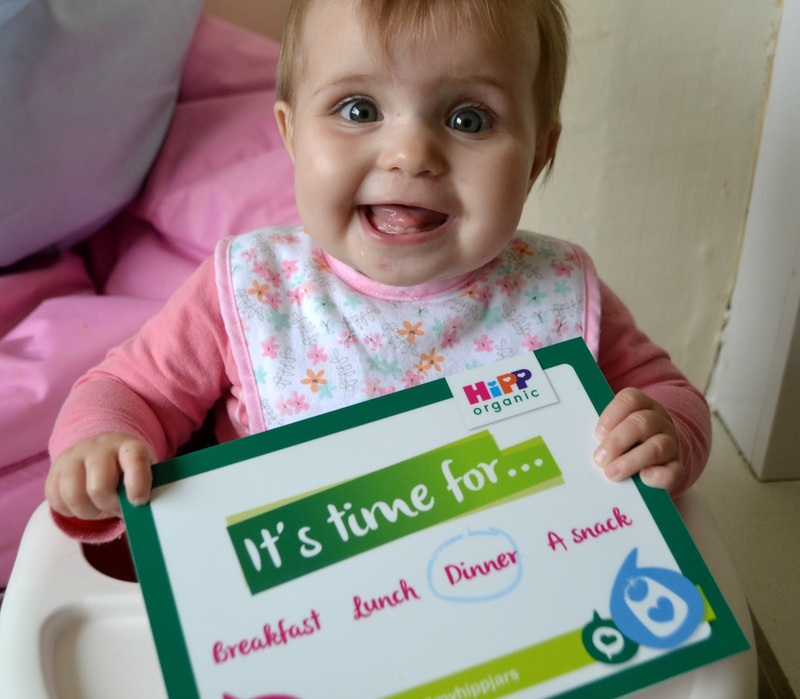 Harleigh has just turned 9 months old so is right between the two stages. We do a mixture of puree and baby led so she is usually fine with textures and eating lumps. 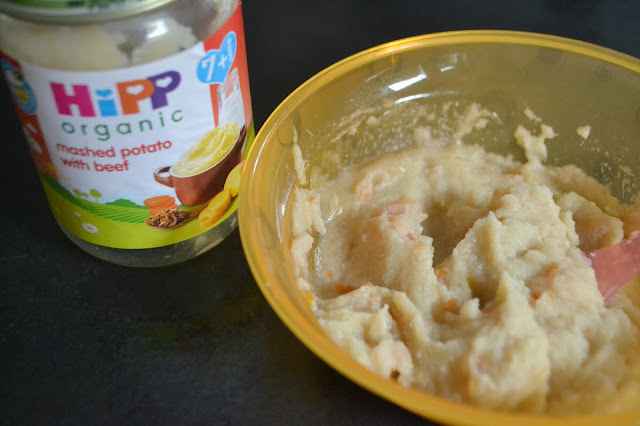 The two stage two jars we tried were Mashed potato with beef and green vegetables with cous cous & turkey. She loved both of them! They were lumpy but not to much, she didn't have any problems eating them at all and was always waiting, mouth open ready for more. 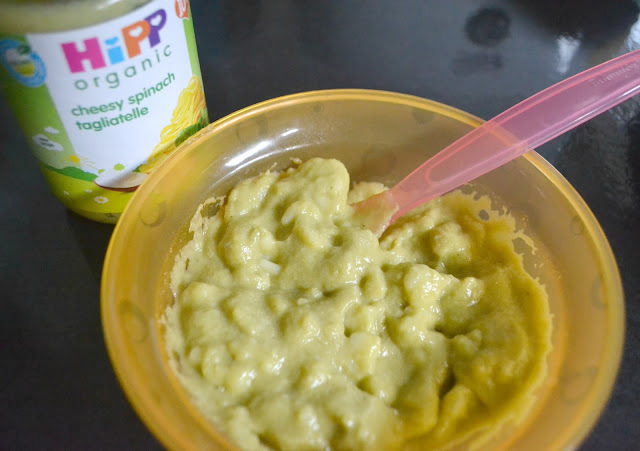 Slightly thicker than smooth puree with just enough texture to help them learn how to chew and eat. Next we went on to try the stage 3 jars. 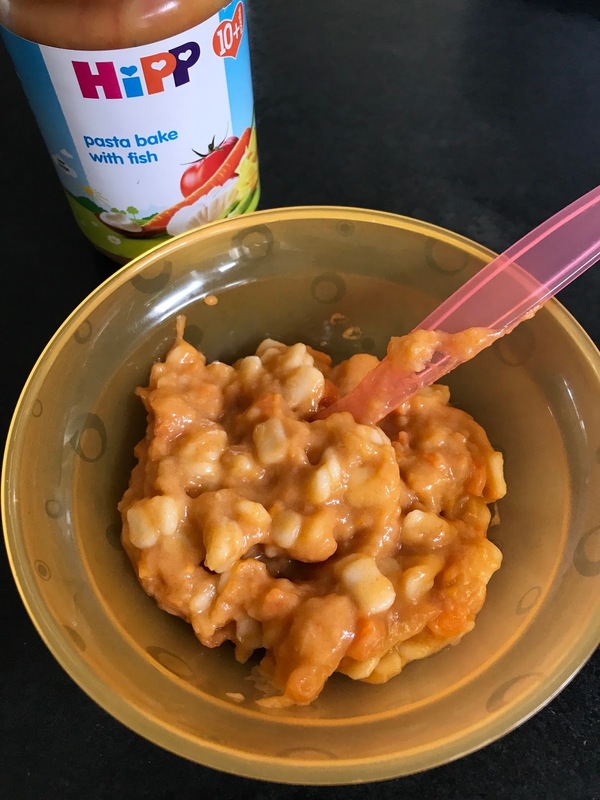 These have a lot more texture than the stage 2 jars and I was interested to see how Harleigh would do given that we do baby led weaning as well as puree. Potatoes, tomatoes with chicken - Harleigh loved it all! Was amazing with the texture and ate everything. Wholemeal spaghetti with vegetables - Liked the spaghetti, kept spitting the carrots out which surprised me. She usually loves carrots. It seems a lot more lumpy than the potatoes, tomatoes and chicken. Cheesy spinach tagliatelle - This one was a little funny. The first half Harleigh gobbled up and couldn't get enough then something changed and she hated it. She constantly spat it out and wouldn't entertain it at all. I'm not really sure what it was but she wasn't a fan. 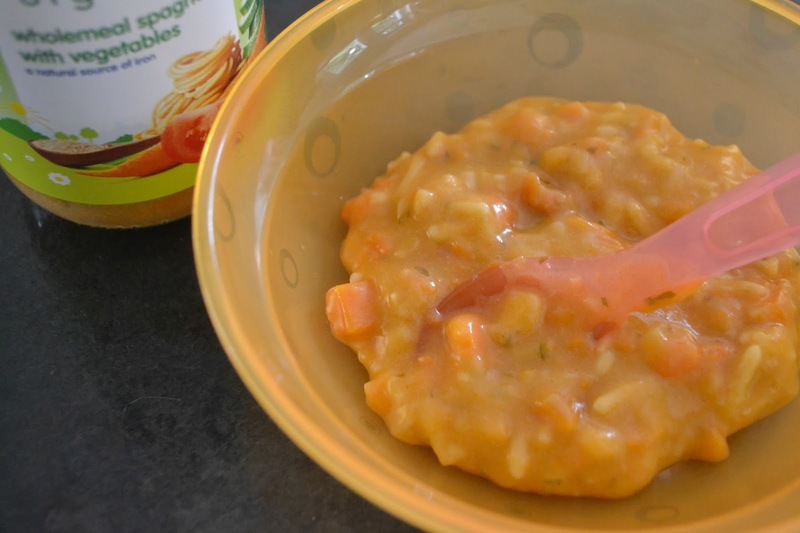 Risotto with turkey & vegetables - This was another one of Harleighs favourites. 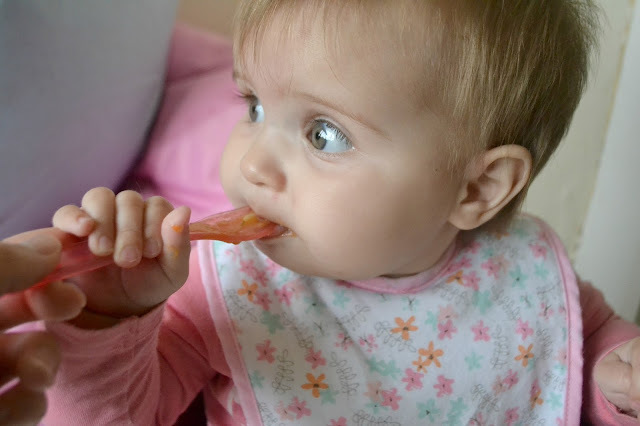 It had quite a bit of texture and I thought that Harleigh might spit the carrots out like she did with the other but she loved it! Pasta bake with fish - Another success and again a lot of texture. Harleigh ate it all and was even waiting open mouthed for more when it had all gone. She pulled a face on the first bite but that was soon forgotten. I'm so proud of how well she did with the stage 3 food as it is from 10 months and she is only 9 months but I hoped that with us doing some baby led weaning it would help and I think it did. 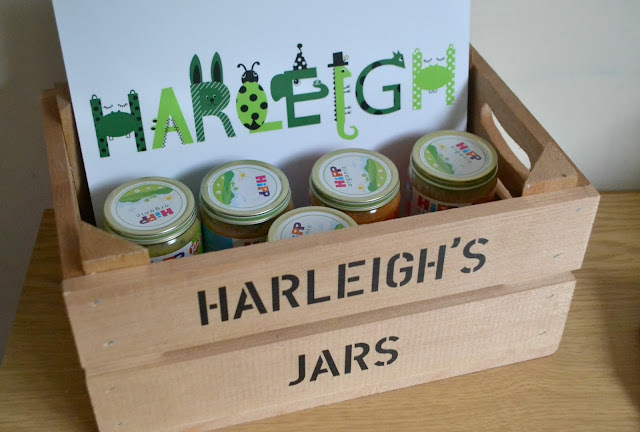 Once your baby has finished the food in the jars don't throw them away, they can be used for lots of different things. 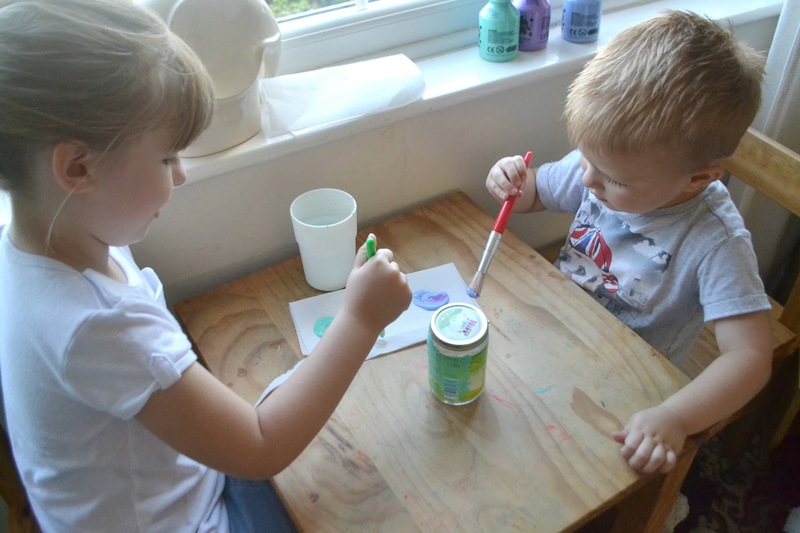 I washed our jars out and gave them to Paige and Parker to paint. They loved painting them and then once they were dry I added washi tape and ribbon I used them to store my make up brushes. I think it looks really cute. We have really loved trying out Hipp jars and can't wait to get some more. 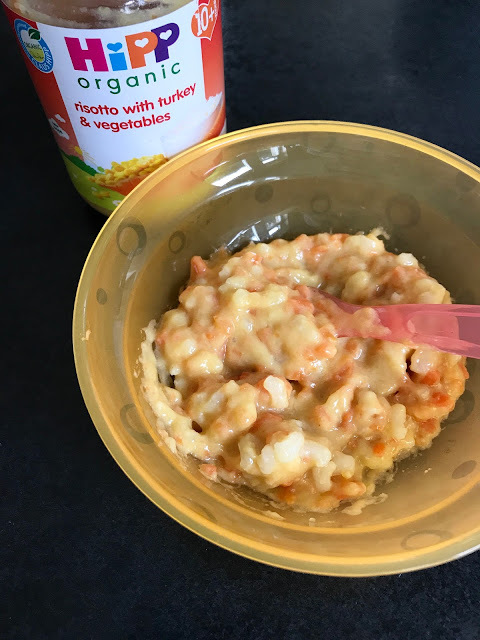 Harleigh really loved them and I loved knowing that she was getting yummy meals that were quick and easy for me to get ready. Perfect to have on hand just in case something comes up. 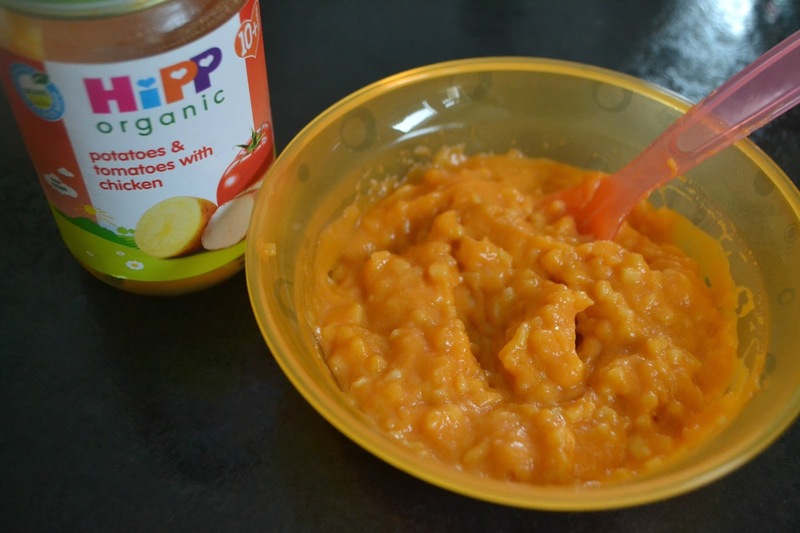 Have you tried Hipp jars before? If you fancy trying them out and I have a printable voucher for you to use HERE.